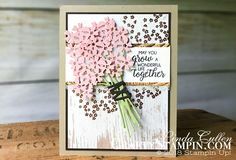 Today’s card for Coffee & Crafts is a fun, bright card to help me feel spring using the Stampin Up Petal Palette stamp set and matching Petals & More Thinlits Dies. I used one of my favorite color combinations of Night of Navy, Real Red and the star of this combo, Lemon Lime Twist! 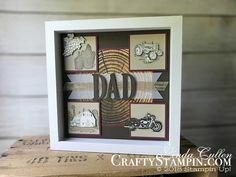 I’ve used a few retiring items to make his card, the Lots of Labels Framelits, the Night of Navy 3/8″Crinkled Seam Binding Ribbon, and the Brights Enamel Dots. Don’t let any of these items sell out before you can stock up!. Watch the video demonstration below to follow along. Next Coffee & Crafts Facebook Live will be Thursday, April 26th @ 11 am EST. See the full Coffee & Crafts schedule here. Click here to claim your prize!! To be entered to win the Watch Later giveaway, please comment on the Facebook or YouTube video replays (click the button below to be taken to those replays). One entry per person. To get a second entry, share the replay video on Facebook and comment “Shared” in a comment! !